Why lashes are the hottest beauty trend of 2009? Want to get the Girls Aloud look? 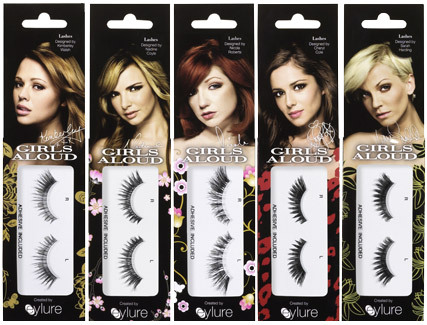 Well Cheryl, Sarah and co have just made it even easier, with the launch of their own collection of false eyelashes. Created with Eylure, the Bambi style falsies are on sale in Superdrug now for just £5, with a pair designed by every girl. But it’s not only the Girls who are getting in on the lash action. The Guardian reports that the beauty industry has seen a boom in false eyelashes sales, with Tesco seeing a 90% soar, and Selfridges reporting a 30% rise. SEE GIRLS ALOUD’S HOTTEST SHOOT YET HERE!